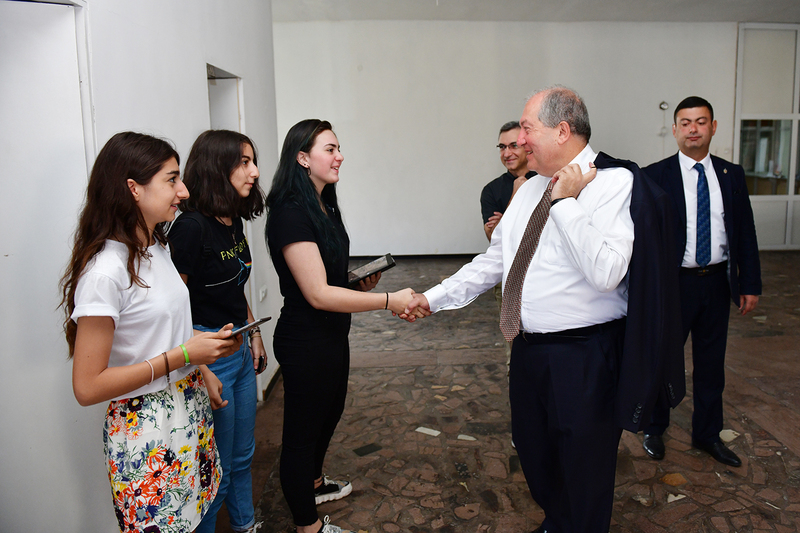 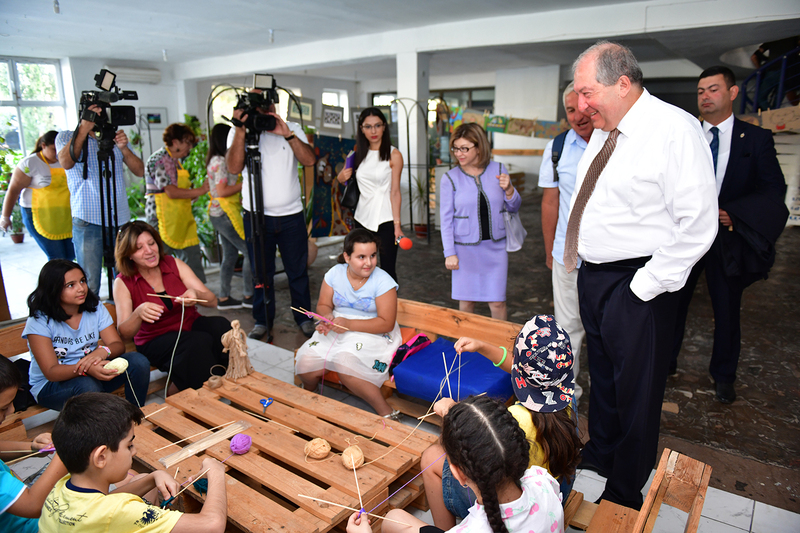 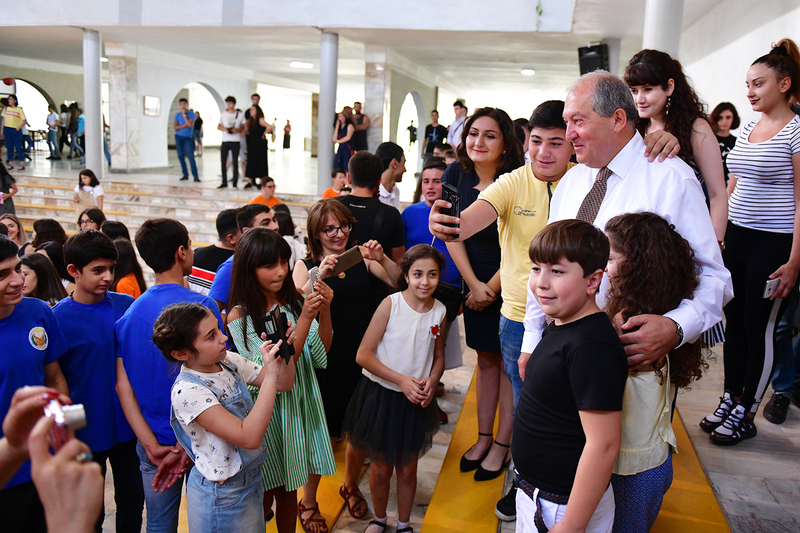 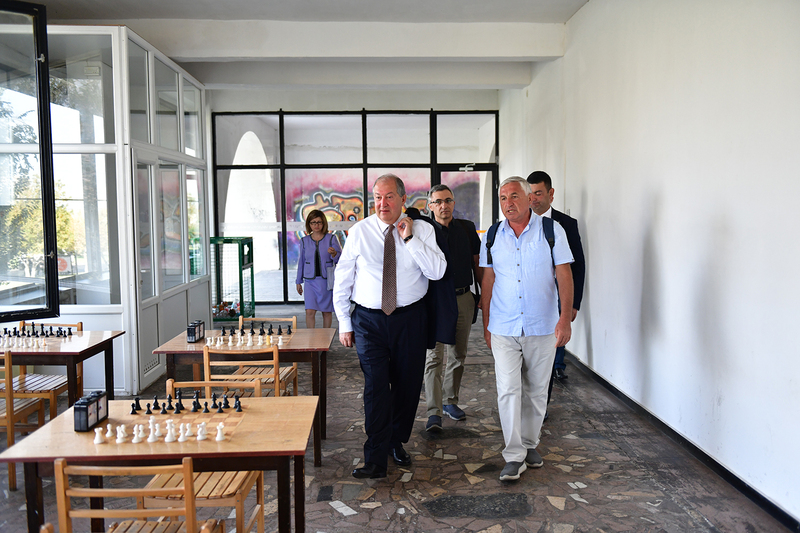 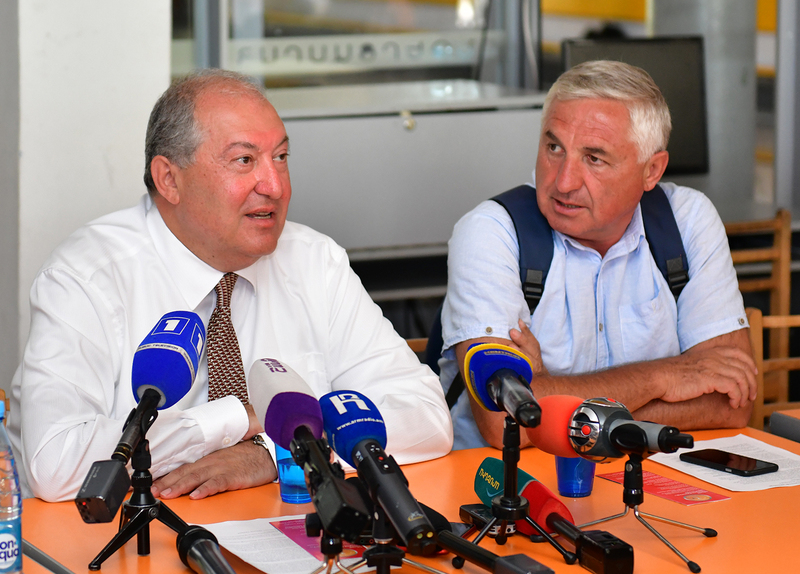 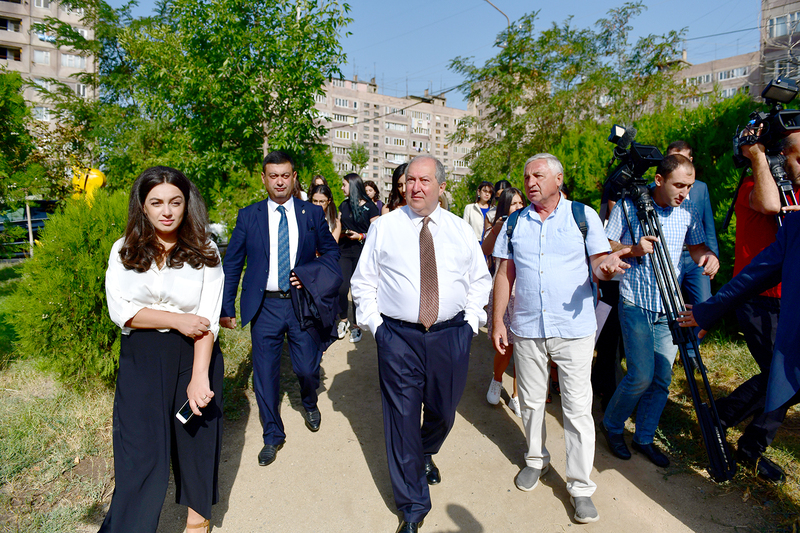 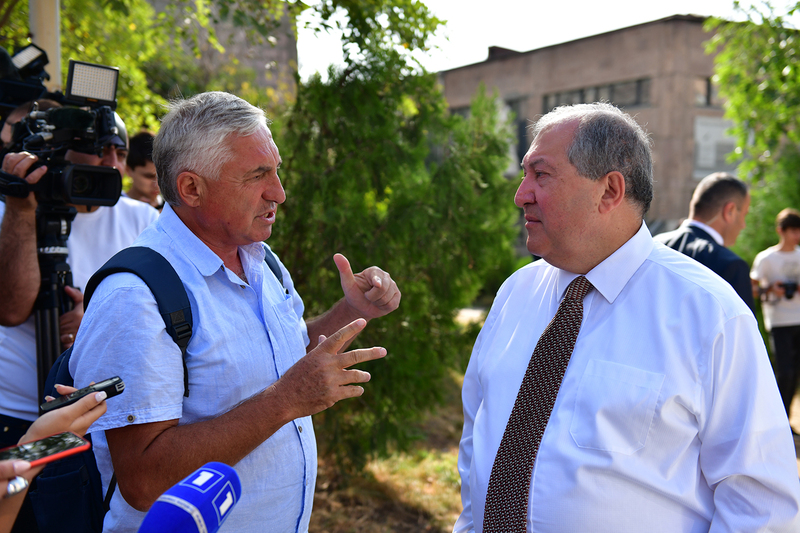 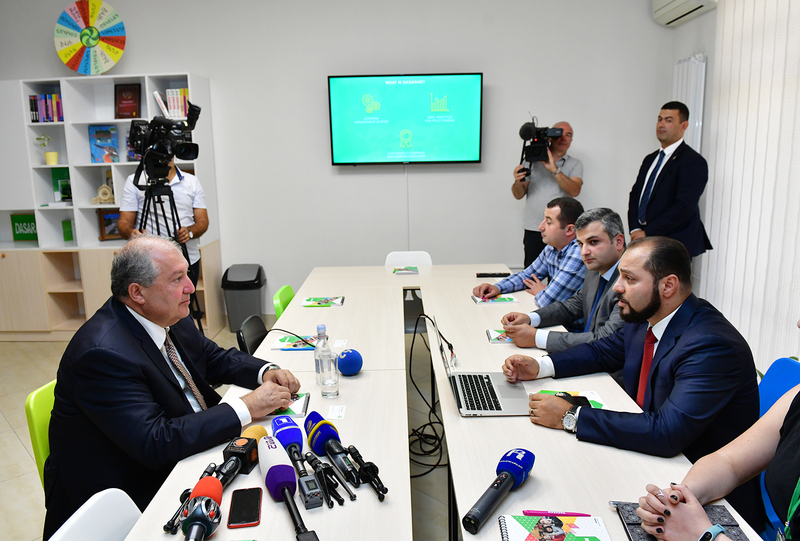 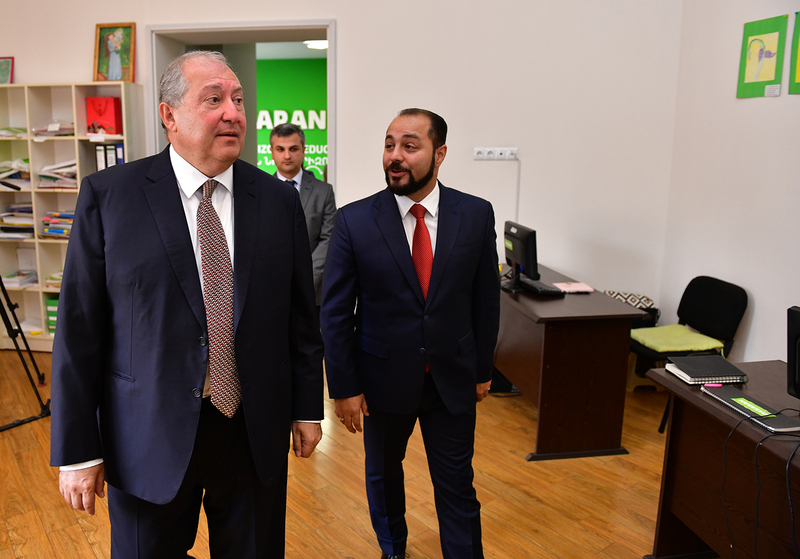 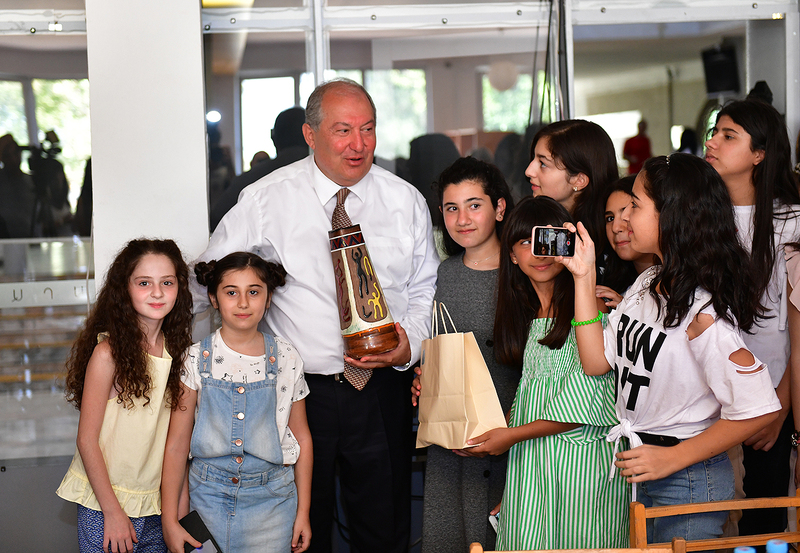 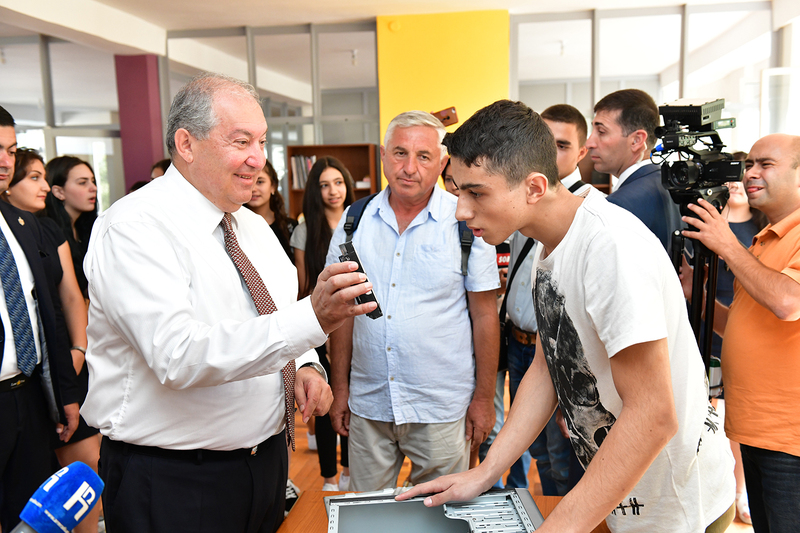 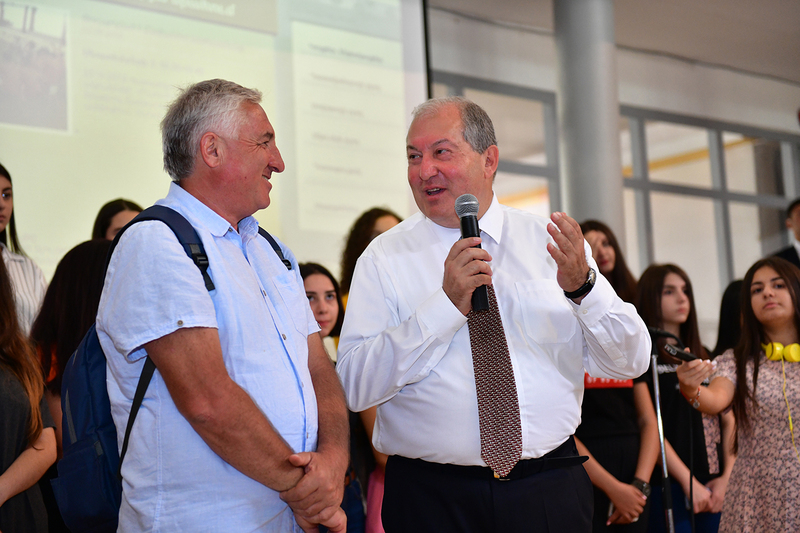 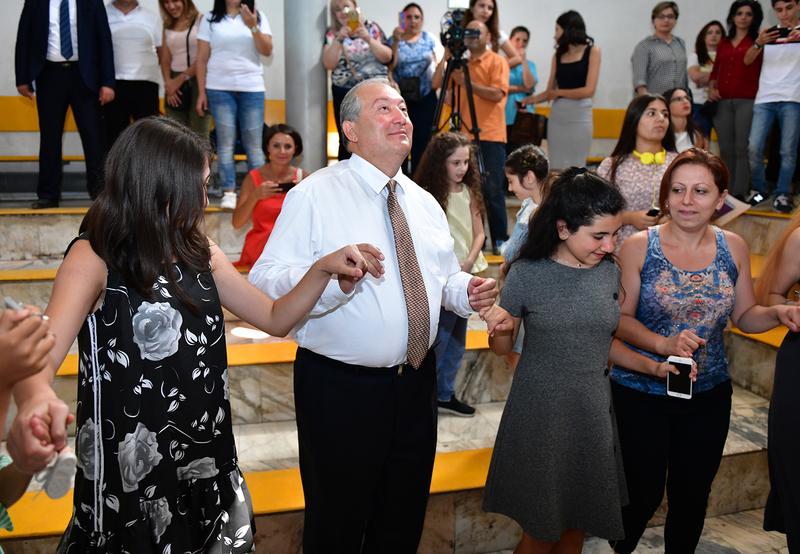 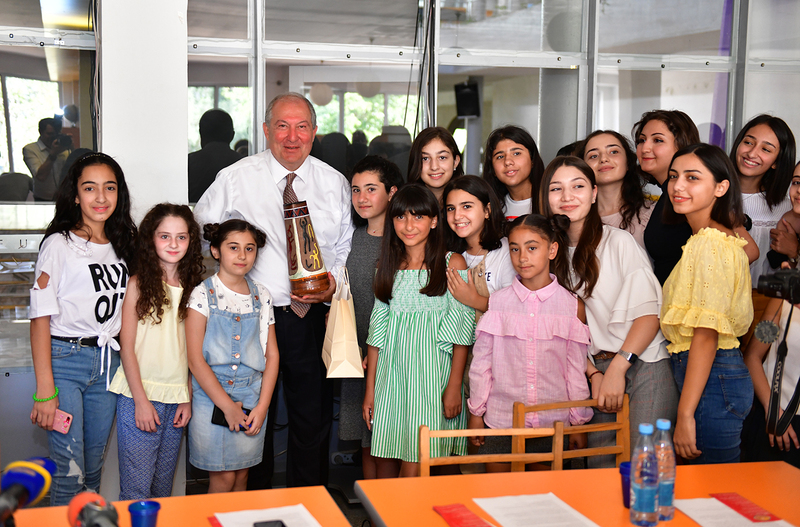 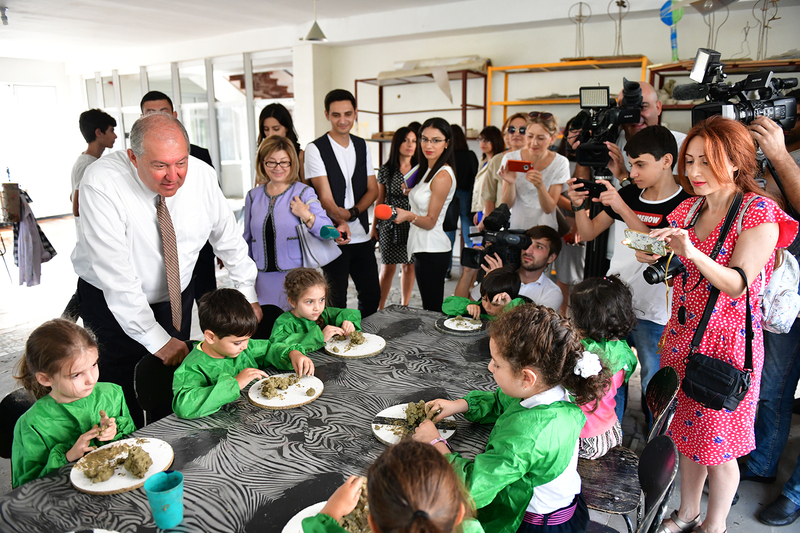 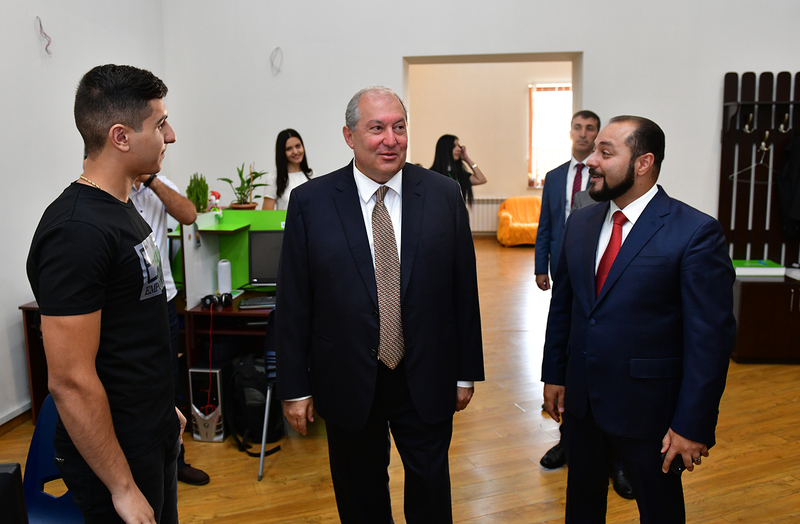 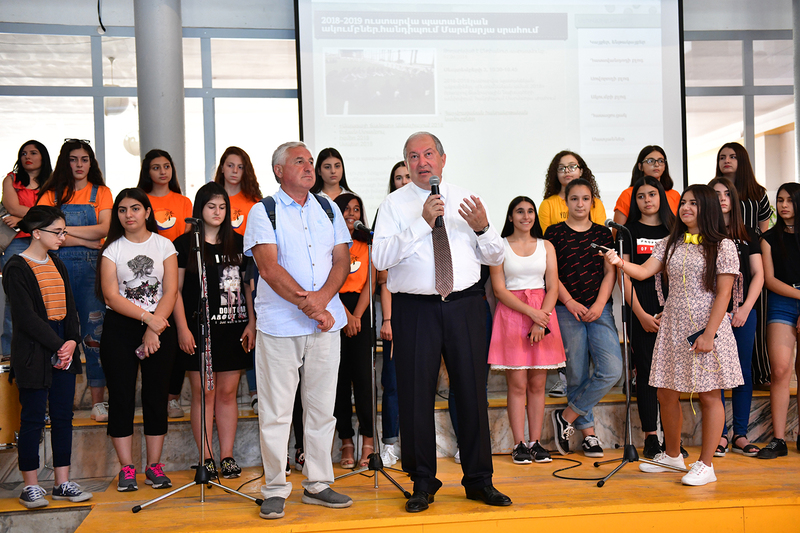 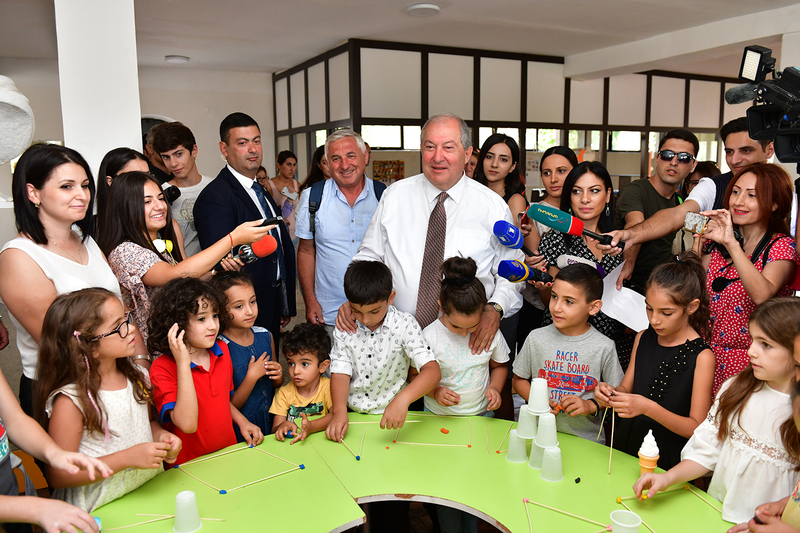 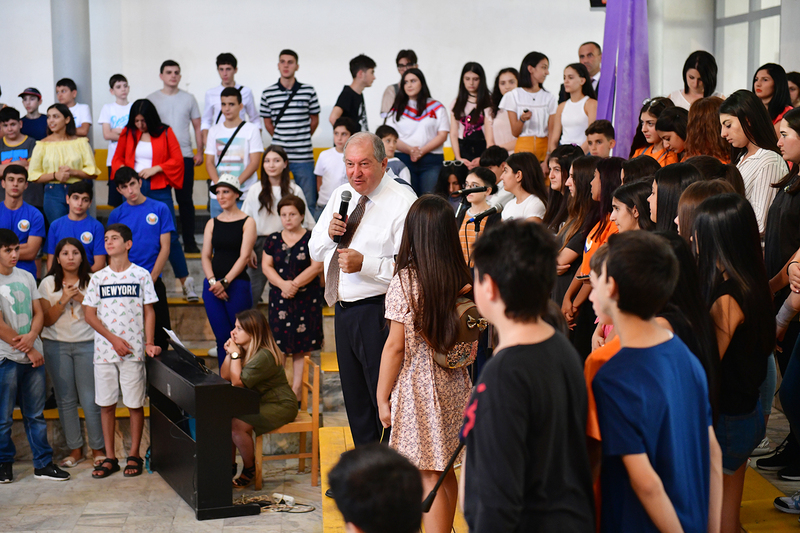 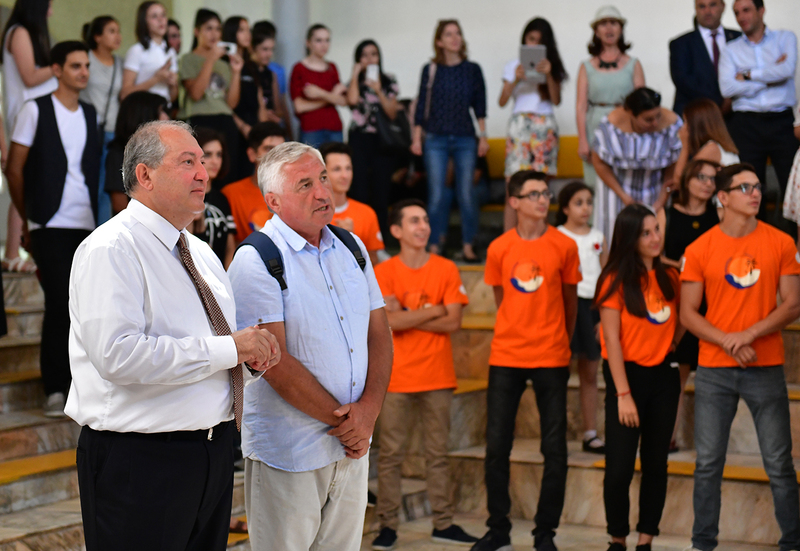 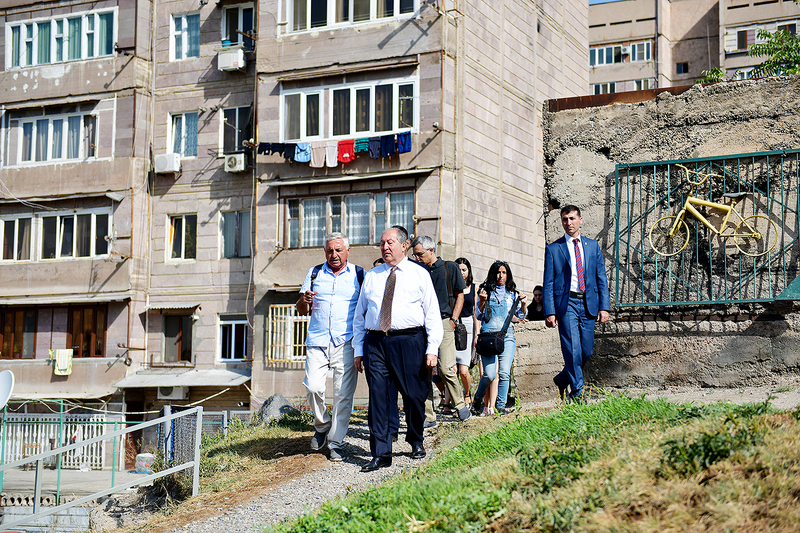 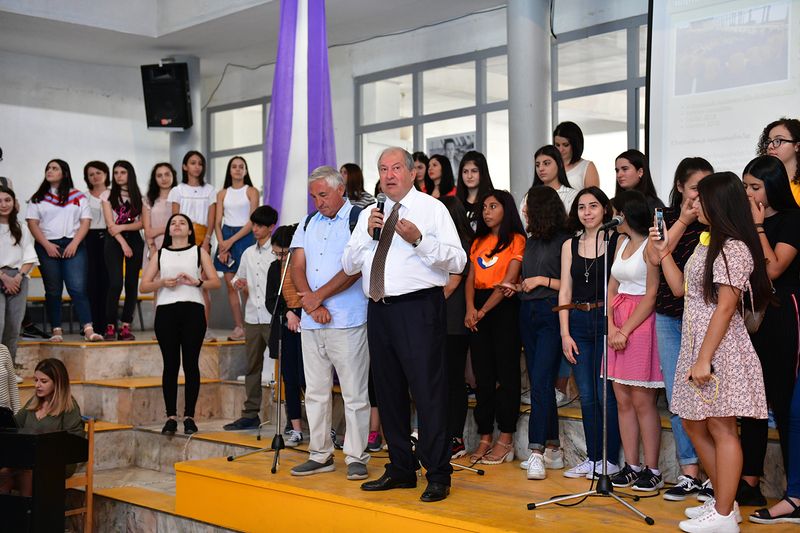 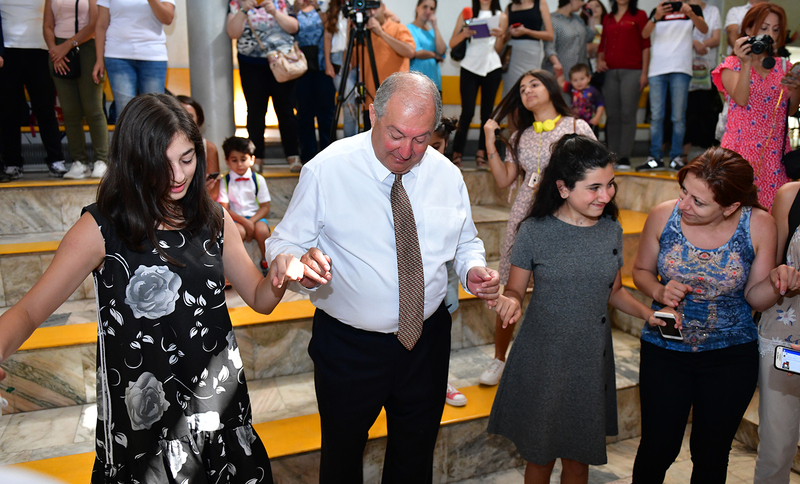 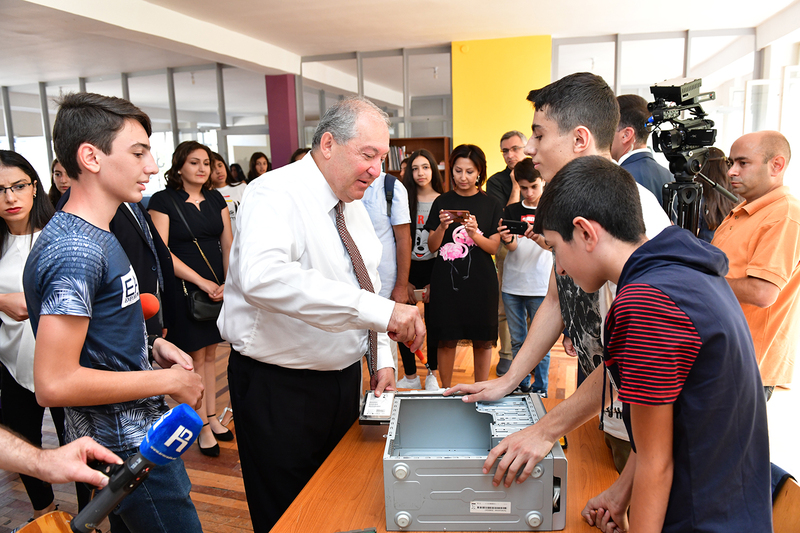 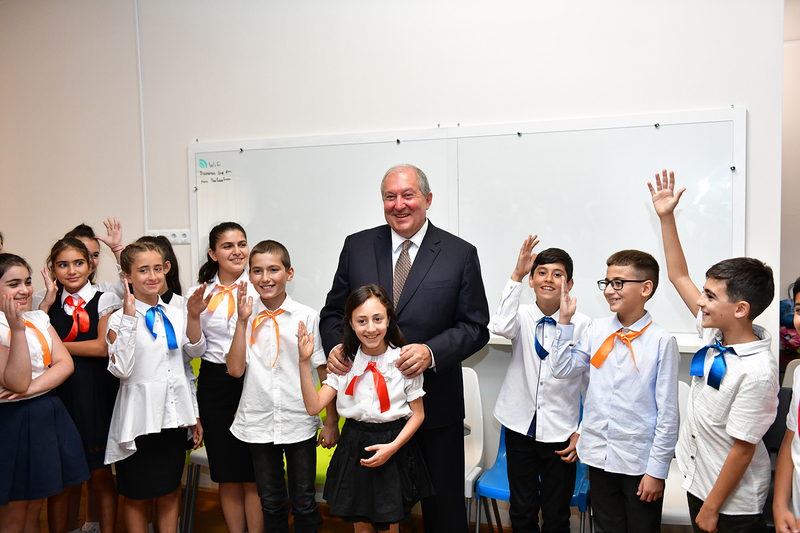 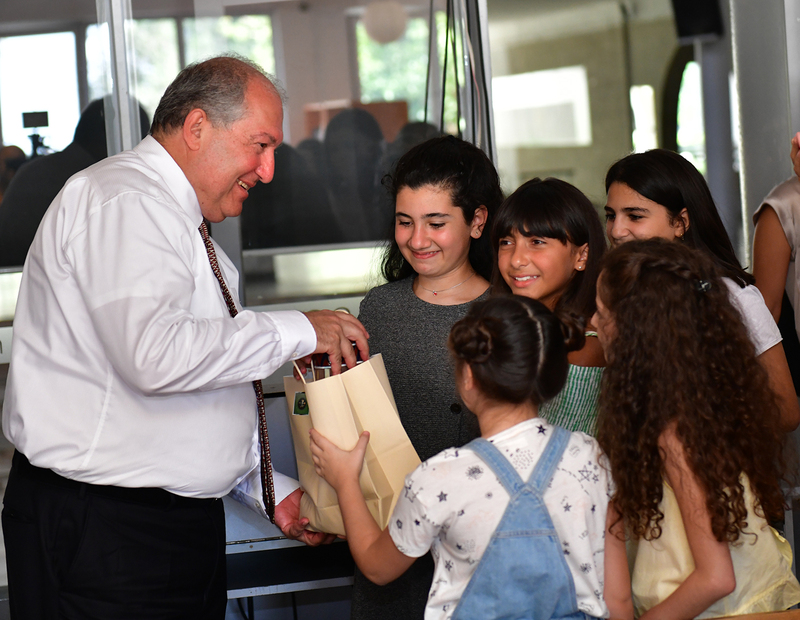 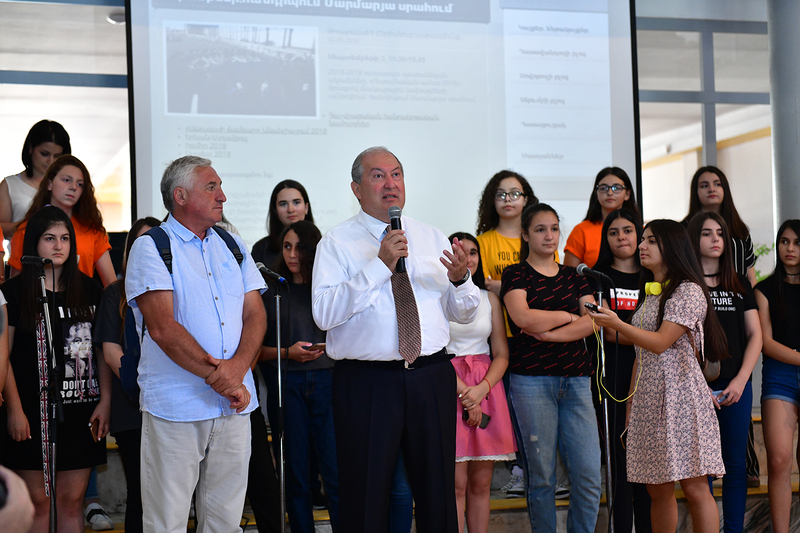 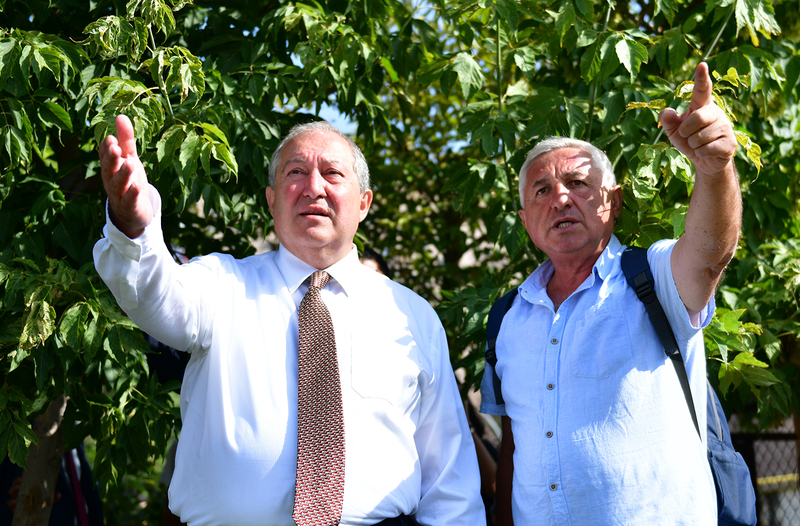 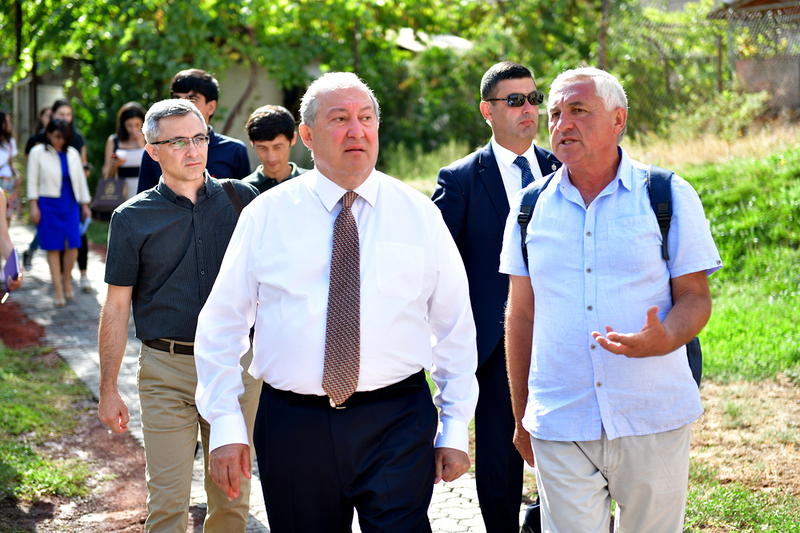 On the occasion of a new academic year, President Armen Sarkissian today visited the Mkhitar Sebastatsi educational compound. 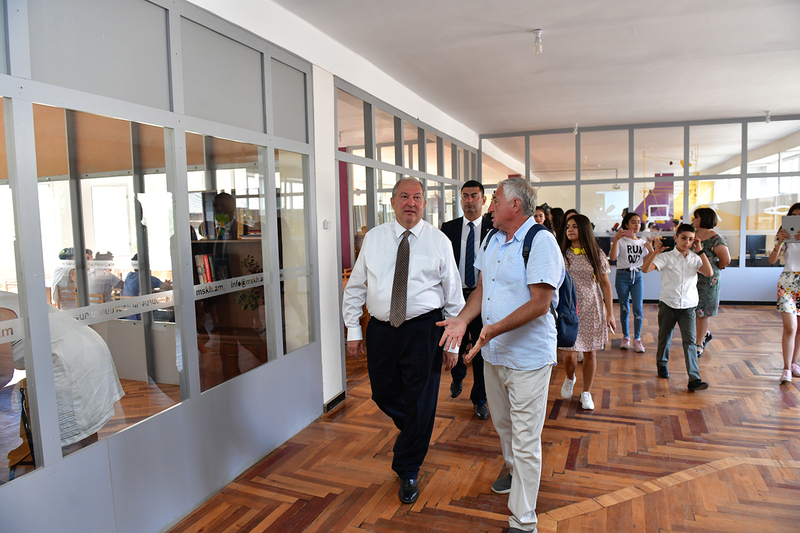 Accompanied by the Headmaster Ashot Bleyan, the President toured the premise, familiarized with the basic infrastructure, existing conditions, and opportunities. 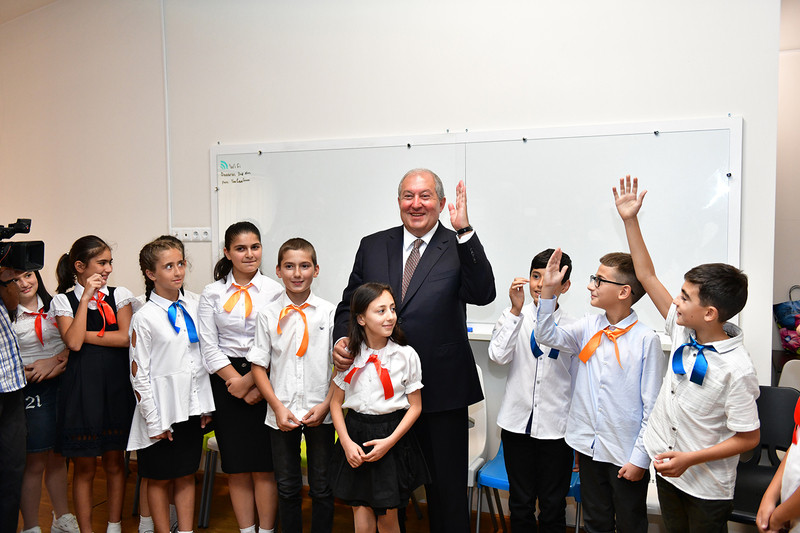 At the preschool, elementary and basic education institutions of the compound the President conversed with the pupils and teachers, pupils-members of the specialized educational programs. 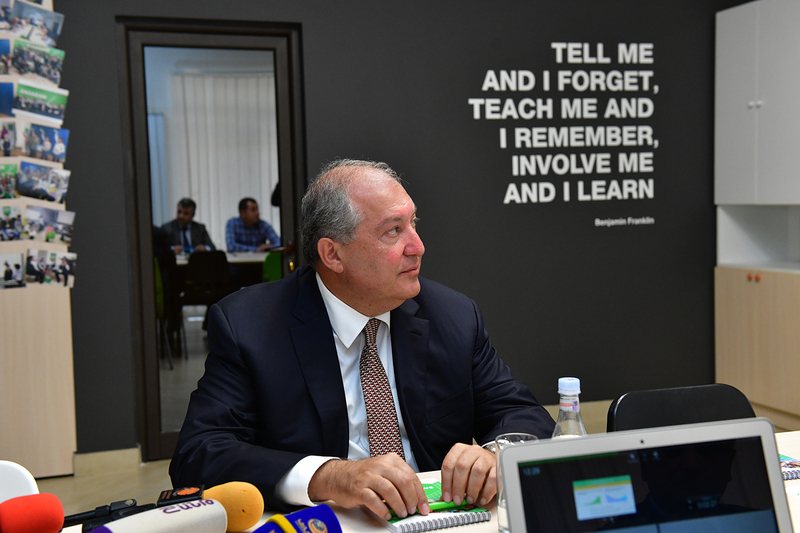 The Headmaster presented to Armen Sarkissian the accomplished works, educational programs, and forthcoming events. 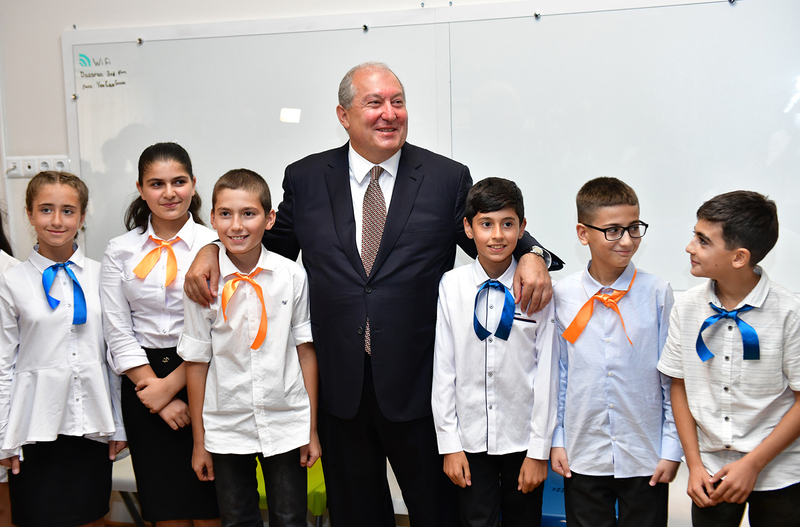 The President urged the pupils to carry on with the excellent job started by the founder and his co-workers and be guided by the values acquired at the compound. 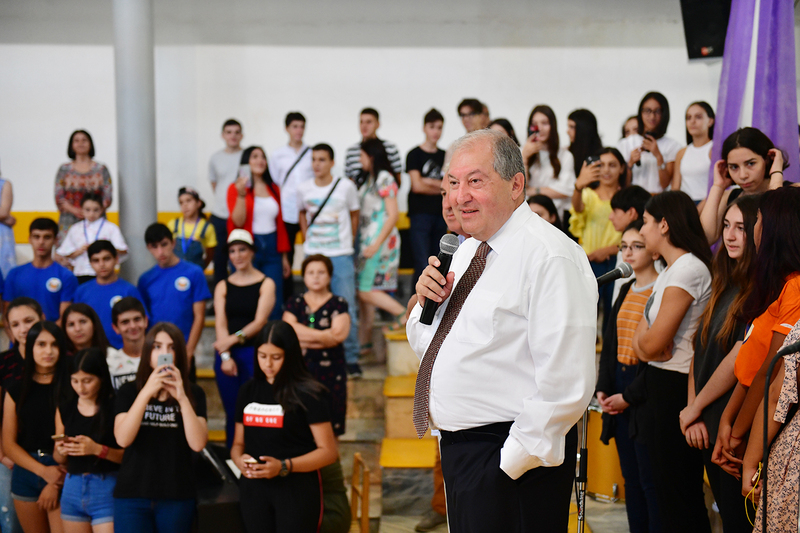 “I would like to see in each and every one of you the new Armenia’s creative force; I would like you to become the guardians of the new Fatherland. 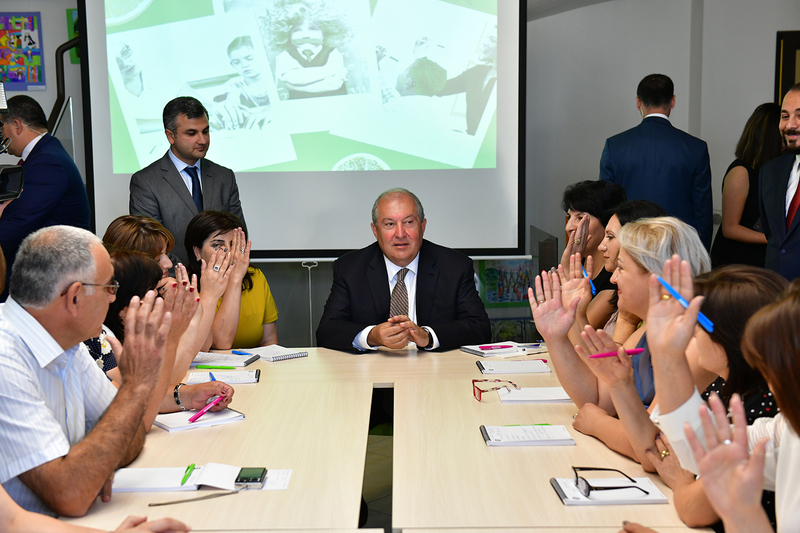 Interests of Fatherland must be defended everywhere by becoming the best in the world, the best physics, environmentalists, and the best professionals in general. 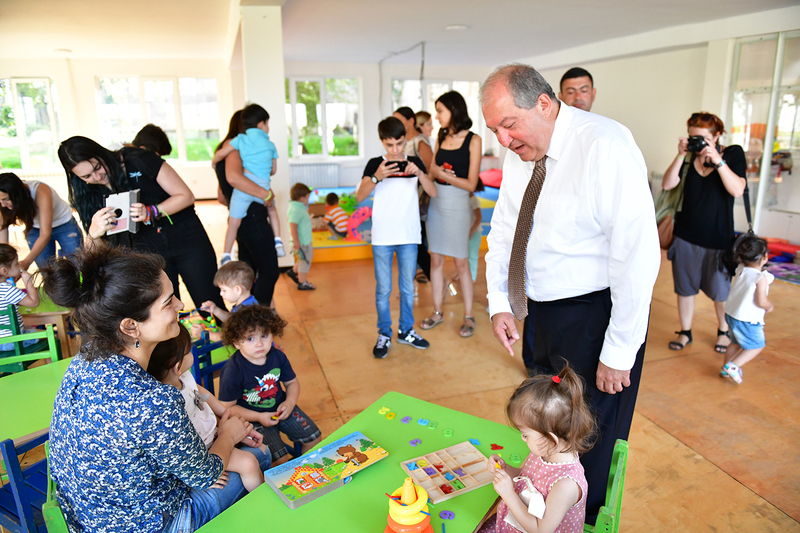 Make our small but precious Fatherland one of the best countries in the world,” the President of Armenia underscored. 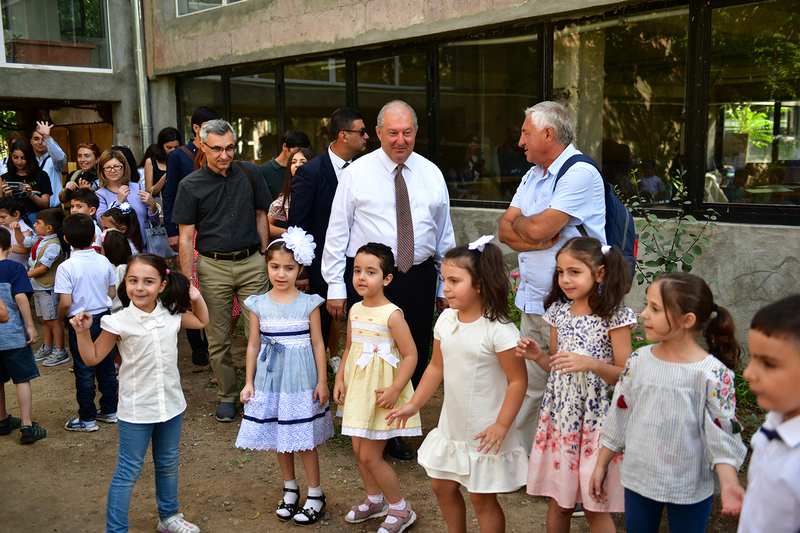 From the Mkhitar Sebastatsi educational compound the President arrived to Dasaran educational center. 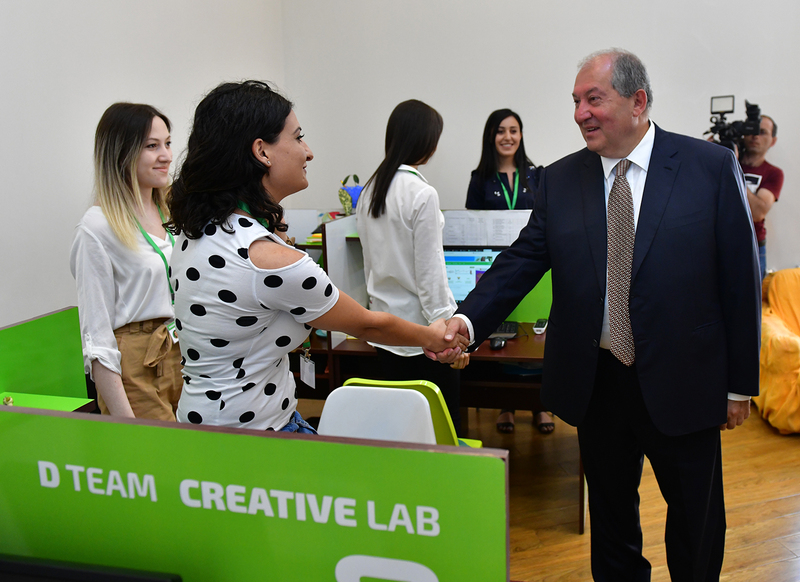 The founding President of the center Suren Aloyan introduced to the President of Armenia the structure of the center and accomplished works. 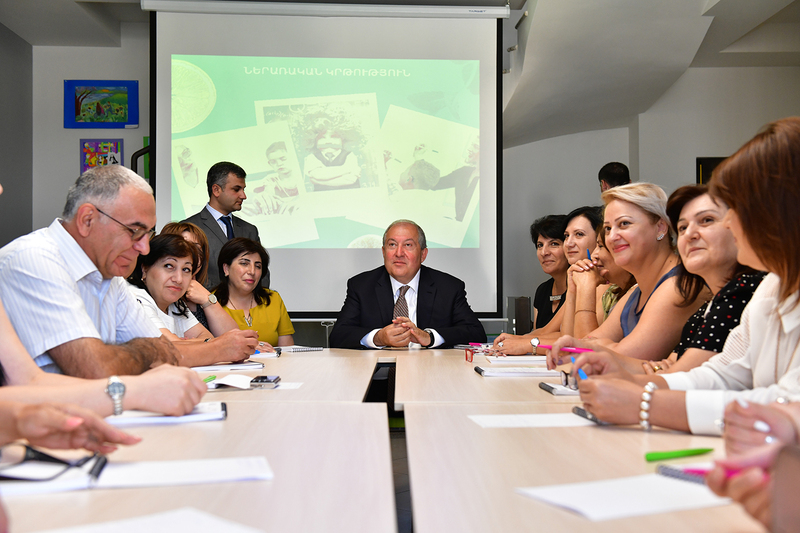 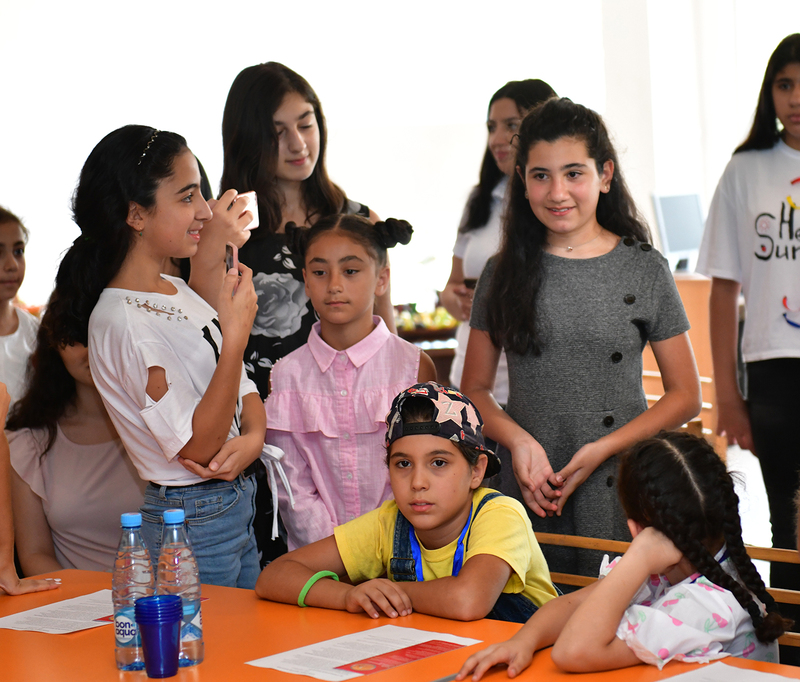 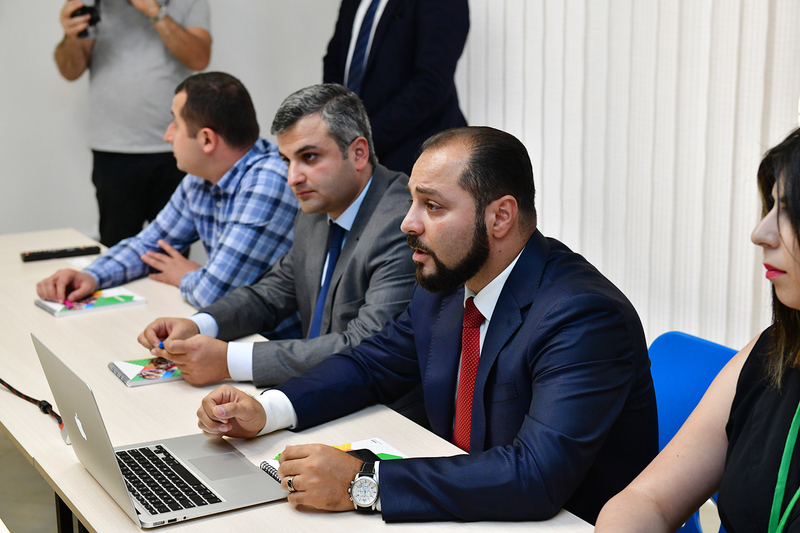 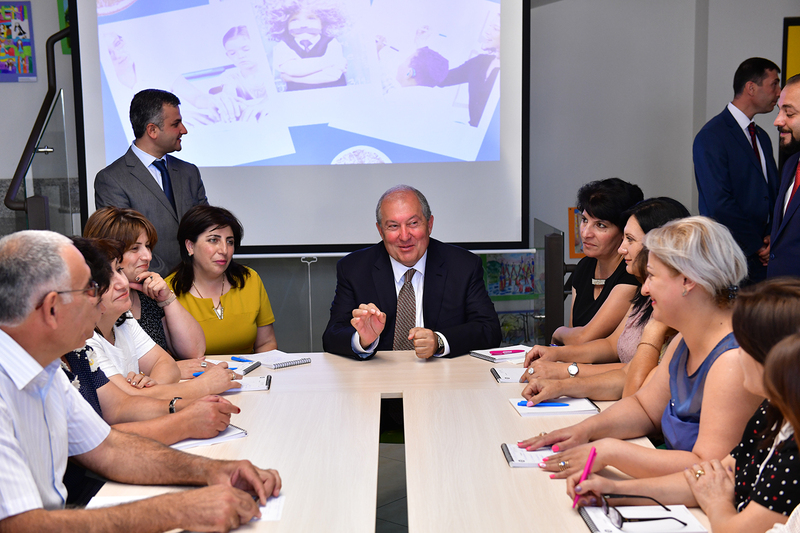 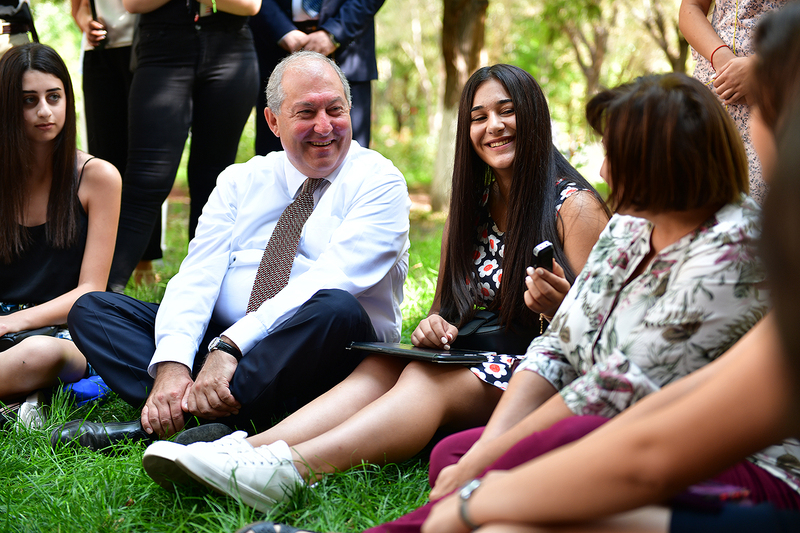 Armen Sarkissian conversed with the teachers-participants of the workshop on the modern teaching methodology, inclusive education, and the protection of children’s rights. 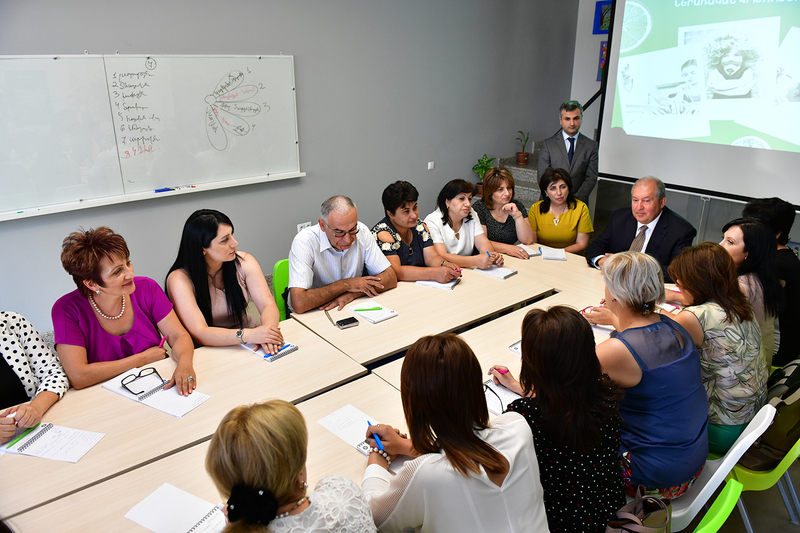 The teachers represent schools of the capital and marzes. 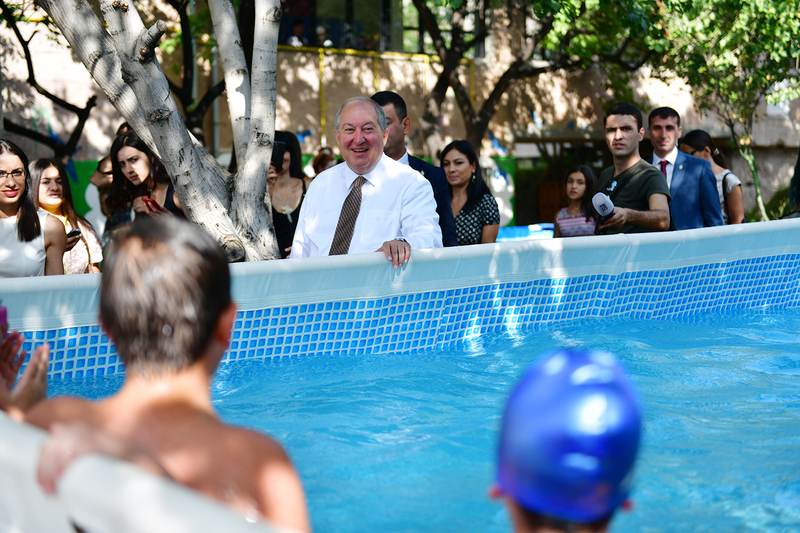 He also was present at the special class of assistance in emergency situations organized for the pupils. 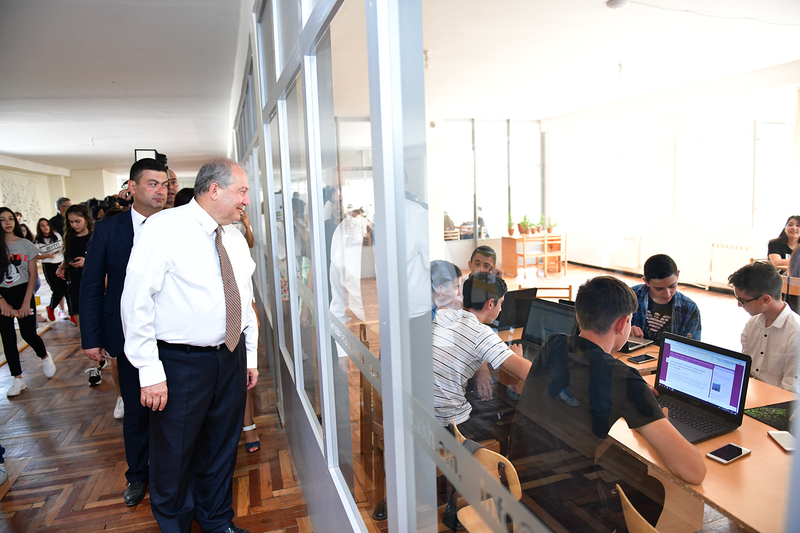 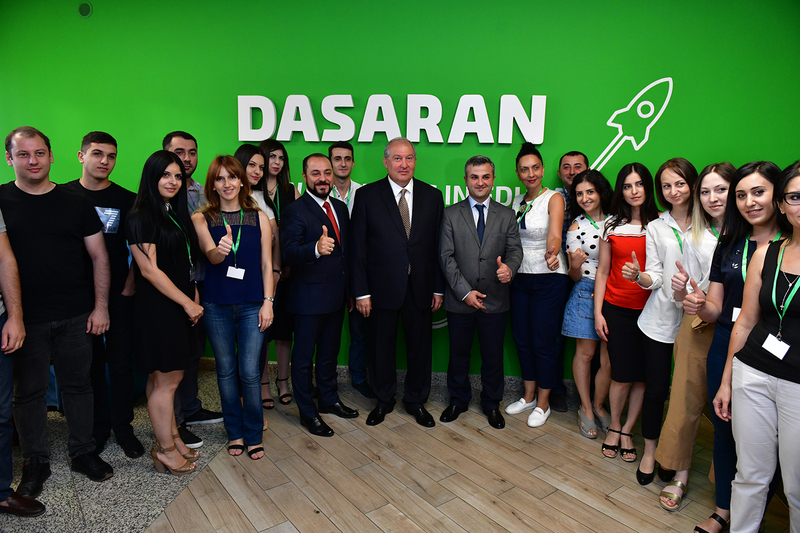 At the conclusion of the visit, the President was familiarized with the Dasaran educational program, particularly the E-stat online statistical-analytical instrument developed by the Dasaran which allows to view comprehensively all layers of the public education structure and analyze the efficiency of the schools, students’ performance, and demographic dynamics.